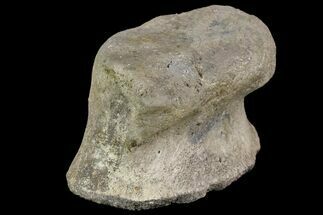 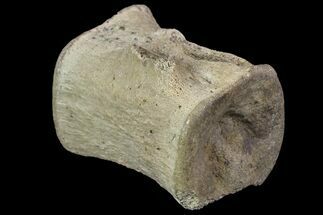 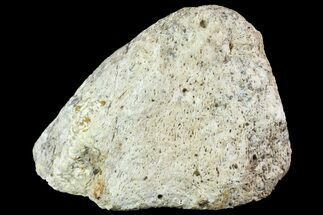 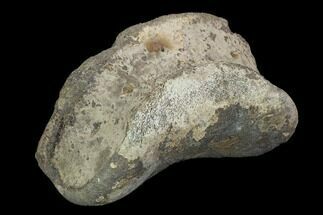 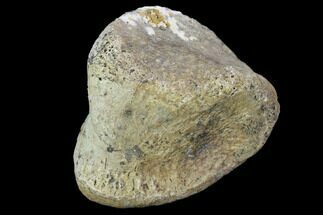 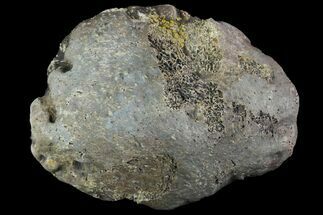 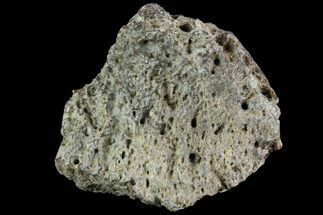 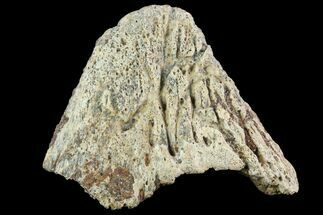 This is a toe bone of an unidentified species of Tyrannosaur dinosaur from the Horseshoe Canyon Formation of Alberta, Canada. 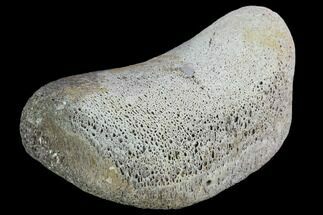 There is minor surface restoration that runs along portions of the center of this bone, as well as some restoration towards the distal, superior and inferior points of articulation. 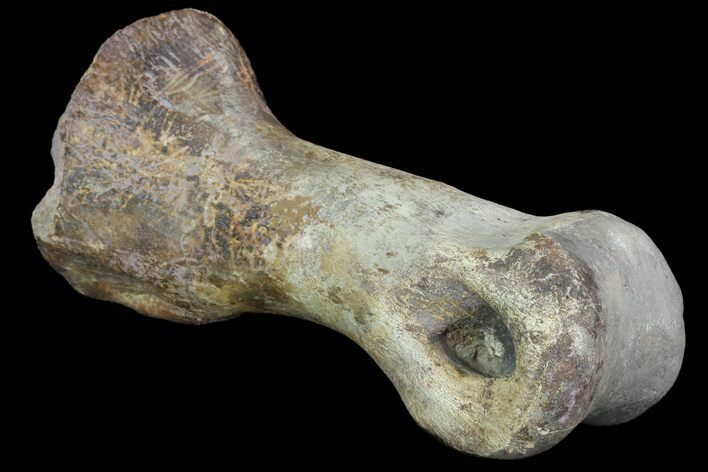 There is also minor crack repair on the superior, proximal section of this toe bone.